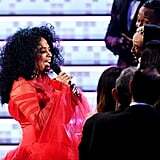 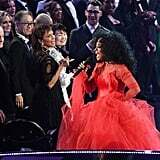 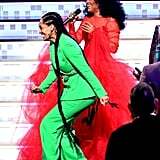 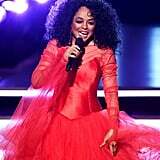 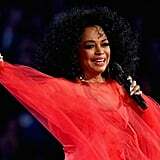 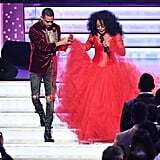 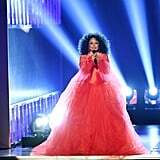 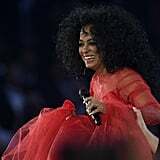 There ain't no mountain high enough that Diana Ross can't climb, and she proved just that with her beautiful Grammys performance on Sunday. 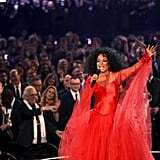 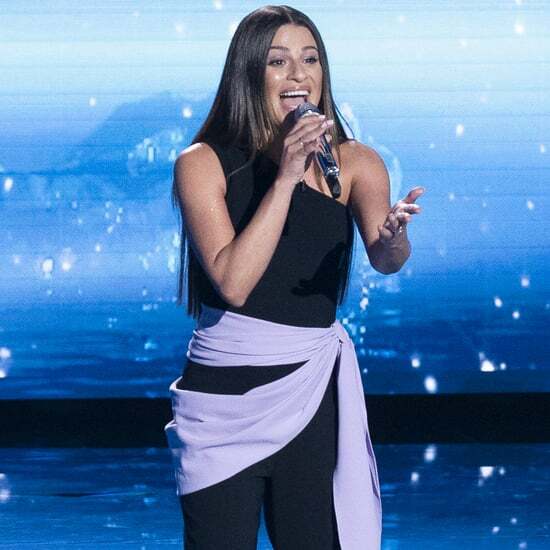 The 74-year-old music icon was honored at the ceremony for her "profound impact in the world of music," and she celebrated with a very special "75th Diamond Diana birthday performance." 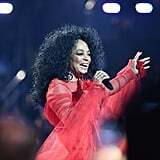 Ross — who turns 75 on March 26 — looked absolutely stunning in a red gown and performed a melody of her songs, including "The Best Years of My Life" and "Reach Out and Touch (Somebody's Hand)." 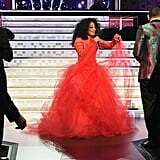 Fun fact: Ross received the Lifetime Achievement Award from the Grammys in 2012. 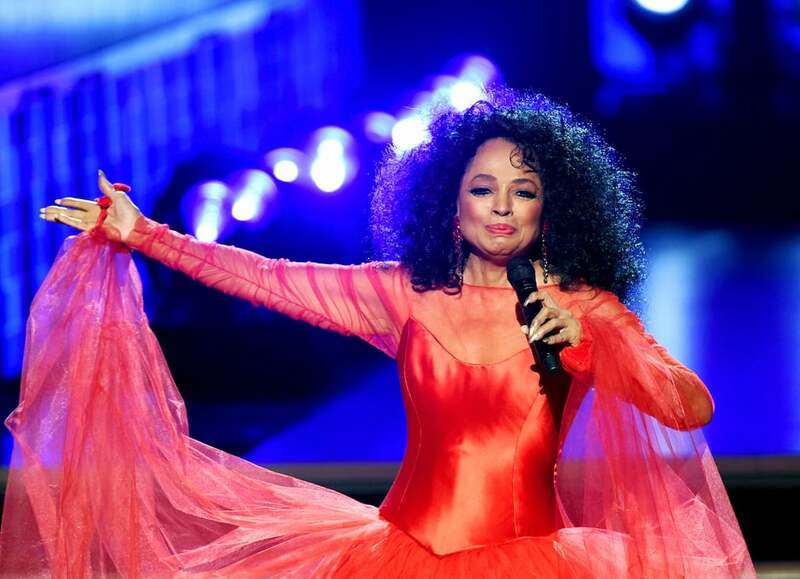 Oh, and in case you were wondering, she's still got it!